The Finnish Seamen´s Mission in Rotterdam is a cultural and social as well as religious meeting place for all the Finns who live or are just visiting the Netherlands, as well as for their friends and family. The Finnish Seamen´s Mission in Rotterdam is also open to all the friends of Finland. The church is happy to help all those who find themselves in trouble – even when the trouble is the lack of Finnish black rye bread, or just the need to relax in a Finnish sauna! We are here for everyone. As an organisation and as a church, the Finnish Seamen’s Mission co-operates with the Evangelical-Lutheran Church in Finland, and observes its confessional Christian, social, cultural and diaconic work among seafarers and Finns living abroad, and carries out international Christian work at Finnish ports. The Finnish Seamen´s Mission in Rotterdam is located in the newly renovated church building ”het Finse Huis” by ´s-Gravendijkwal 64. You can find the Finnish Seamen´s mission in Rotterdam from the address ´s-Gravendijkwal 64, 3014EG Rotterdam, The Netherlands. The telephone number is +31 10 4366164. You can find the direct contact information for our staff from here. The Finnish Seamen´s Mission in Rotterdam works among Finns and their friends in the Netherlands. The Church is mainly a self-sufficient organization, so we need the support of our friends to ensure the continuance of our work. Become a supporting member of our Church. There is more information about membership below. Donations can also be made in cash, or through a cheque at the Church itself. This can be done during regional services, or can be dropped in to the cafeteria at any other time. 2) by paying the fee directly to our bank account (see details above). When paying to the bank account, please include a note ”Memebership Fee, Holland”. 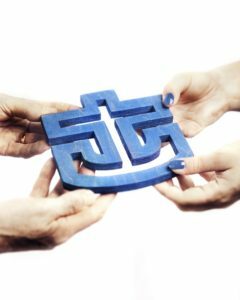 As a member you are accepting a shared responsibility for the Church activities. You will gain benefits from your membership, and above all, you will safeguard the future of the Seamen’s Mission in Rotterdam. 3 % discount to several services (including shop and cafeteria) and a 10 % discount for the use of the sauna at the Church. The Finnish Seamen’s Mission’s sea crossing benefits plus other benefits, for instance in different hotels, when staying in Finland. Reductions in overnight facilities at our churches in Hamburg and London. The heart of the Finse Huis in Rotterdam is the cafeteria. It is a communal meeting place as well as a place to find out about various Finnish activites and events. 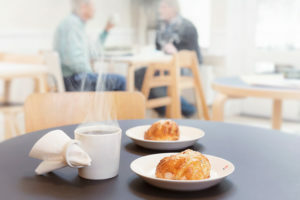 You can enjoy the best cinnamon buns and Karelian pies in town with your coffee or tea! You may also buy cafeteria items to take away. The church library has books in Finnish. These include books for children and young people! Our Finnish Shop is next to the cafeteria. There you will find the largest selection of Finnish food and delicacies in Rotterdam. 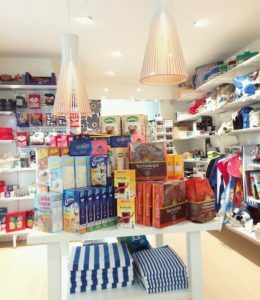 These include an assortment of Finnish sweets, chocolate, mustard, rye bread, baking ingredients, porridge flakes and coffee. We also sell other Finnish favourites and gift items. The church can be used as a venue for private functions, such as bithday parties, meetings, family events etc. You can rent the venue also with or without the catering. A traditional Finnish wooden sauna in our lovely garden is available from Tuesday to Sunday (July-August Thursday to Sunday). You can make a private booking for the sauna by calling to the cafeteria tel. +31 10 4366164.